This beautiful evergreen perennial is very drought-tolerant and surprisingly rabbit-resistant. 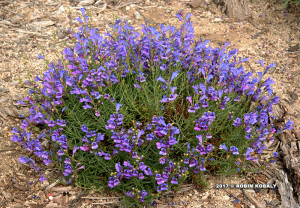 It blooms profusely with stunning purplish-blue flowers that are great in cut bouquets. You can’t have too many of these plants in your rock garden, borders, slopes, or containers. 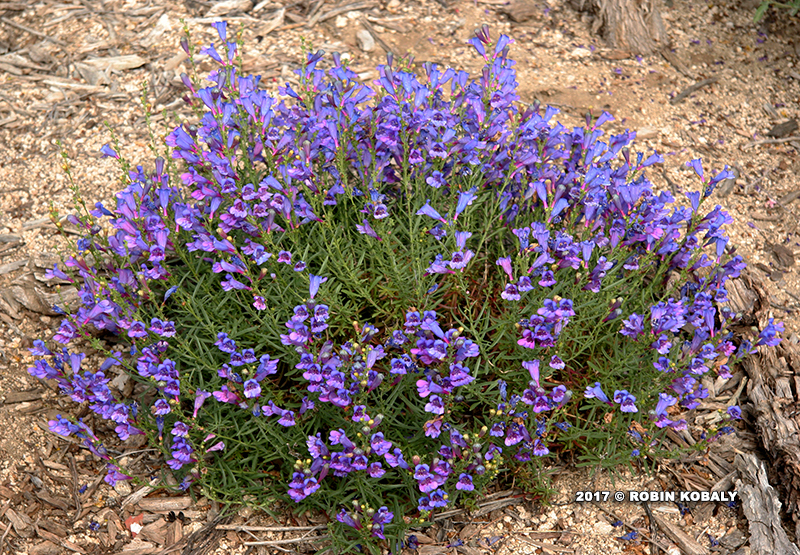 Foothill Penstemon makes you smile just to look at it. Every one of its abundant blossoms appears to be stretching up to greet you personally. From its yellow flower buds, you would never guess the flower colors unveiled upon their opening – an intriguing blend of blues, purples, and pinks from spring to early summer. Needs only occasional watering after it’s established, and is remarkably rabbit-resistant. This small, shrub-like perennial forms a tufted mound of stems with linear leaves that turn from green to maroon in late summer and fall. One of the most reliable of several selections available is “Margarita BOP”, prized for its disease resistance, garden tolerance, and long, profuse bloom season. Foothill Penstemon is perfect for rock gardens, the sunny foreground of mixed borders, dry slopes, and containers. Besides its stunning garden display, its cut flowers hold up nicely in arrangements.